Paneer is a homemade, non-aged cheese made by adding an acidic curdling agent to milk. This cheese is not suitable for melting and has a delicate yet extra delicious flavor. Paneer can be used in many, many different dishes in a variety of ways. Paneer is often made with lemon juice but I really like to make it with buttermilk, as it seems to make a softer and creamier paneer. Also, if you accidentally put too much buttermilk it will just convert to more paneer, whereas if you put too much lemon juice, your paneer will taste sour. In a thick-bottomed pot, put the gallon of milk on medium/high heat to boil. Stir the milk every once in a while to prevent the milk from sticking to the bottom of the pot. When the milk begins to boil, pour in the lemon juice or buttermilk slowly, stirring the top of the milk gently. You will know when you have added enough of the curdling agent when curds begin to form and the liquid remaining is a clear yellowish color. Once the curds have separated from the whey, I like to bring everything to a boil again just to let the curds come together nicely. Line a sieve or colander with cheese cloth [or thin cotton cloth]. Carefully pour the curds and whey into the cloth-lined sieve. 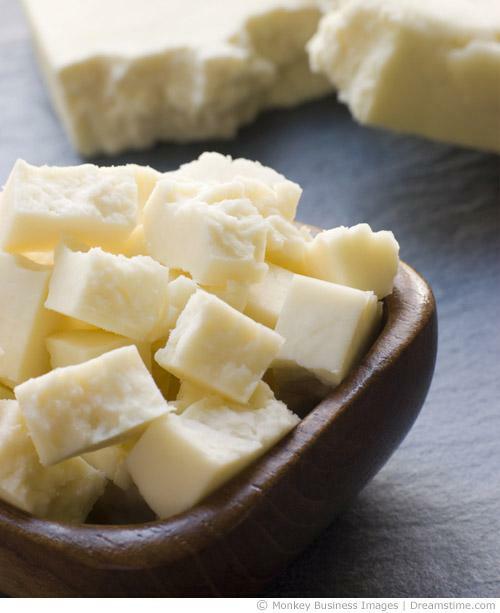 If you are using the curds crumbled, simply let the whey drain out for approximately 30 mins. If you are using the curds in subji, pakoras, or something that requires cubed paneer, then twist the cloth to secure the curds into a bundle and place on a flat surface with a heavy object on top to press the extra whey out. Make sure you press the paneer in a place where you don't mind the whey draining onto. I like to fill the pot that I just used to make the paneer with water, and use that to press the paneer. Press the paneer for at least an hour (longer if desired) and then either cut into cubes to use or place in an airtight container in the refrigerator for up to 4 days. Submitted by Becca (not verified) on Mon, 11/28/2011 - 06:54. This looks TOO easy and sooo yummy! Thank you Lord Krsna for the cows that give us this awesome cheese! Will b trying to make this 1st time this weekend! Haribol!